The human body is made up of 55 percent to 75 percent water. Soda, juice, tea and hosts of other beverage options. If you were to survey a group of individuals about their beverage of choice, water just may not make the list. After all, it is odorless, colorless and tasteless, but it is necessary for the body to function as it should. Find out what its benefits are. Do you know what percentage of the human body is made up of water? Roughly 55 percent to 75 percent, in fact. Moreover, water forms the basis of blood, digestive juices, urine and perspiration. It also is contained in lean muscle, fat and bones, too. Since the body can’t store water, we have to replenish our water supply each and every day to make up for losses from our skin, lungs and urine, to name a handful. And, the amount water we need depends on such key factors as our body size, the weather, our metabolism, our activity levels. Oh, we can’t forget about including the food we eat, also. Infants 0 to 6 months – 0.7. As a side note, older individuals, sedentary people, people in cold environments or people who eat a lot of high-water content foods (fruits and vegetables) may need less water in order for their bodies to thrive. What all this boils down to is that some need less than the recommended amount of water, while others need more of it. With all of the above information, you may be asking yourself what can happen if you do not take in enough H2O? To put is simply, some very unfavorable circumstances can occur. For example, by not drinking enough water, you can increase your risk of kidney stones. Women who don’t drink enough may notice more urinary tract infections. Now, on to the more serious side effects of not drinking enough water. It’s been suggested that you can increase your risk factors for certain cancers, bladder cancer and colon cancer; though there is limited evidence that supports this claim. What else? Lack of water can also decrease your salivary gland function, physical and mental performance and can lead to dehydration. Since not drinking enough water can be dangerous, why is it often overlooked by many? The bottom line is that many believe that drinking water causes fluid retention, however, this just isn’t true; by drinking water we help the body rid itself of excess sodium, which thereby results in less fluid retention. 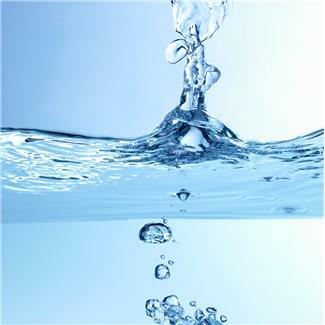 Another way to look at water is this: The body will retain fluid if there is too little water in the cells. Nonetheless, if the body receives enough water on a regular basis, there will be no need for it to conserve water. What happens next? This will reduce fluid retention. The Spanish word for water is agua. But, no matter the language, there are ways to increase your water intake. Just keep a bottle of water handy, so when you are thirsty, you don’t have to go far to quench your thirst. While dining at a restaurant, someone in your party may ask for water with a twist of lemon, but don’t laugh; by adding a squeeze of lime juice or lemon juice to plain water, your water can go from drab to fab. Finally, you may want to throw in ice cubes that have been made from fresh fruit to your water. It is not uncommon for many to drink water on sticky summer days only, but by incorporating this natural resource into your diet regularly, you may trim your waste-line too. Water can allow you to feel fuller, longer. Say goodbye to those unwanted calories. This entry was posted in Health, Lifestyle, Option, Poll, Safety, Self-Help, Statistics, Uncategorized and tagged Agua, H2O, Hound Studio, Spanish, Water. Bookmark the permalink. To receive new posts, enter your email address.